Health watchdogs in South Tyneside are looking for young people in the borough to help improve local services. Healthwatch South Tyneside is launching the new initiative called ‘Young Healthwatch’ to find the views of younger people in the borough on health and social care services. 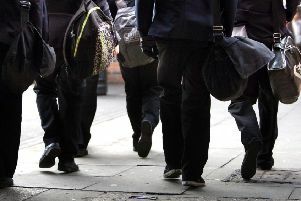 It wants 16 to 25-year-olds to join a group which will help the organisation connect with other young people and find out the key concerns they have about services - such as GP surgeries, sexual health clinics, mental health support and adult social care. Sue Taylor, chair of Healthwatch South Tyneside, said: “Young Healthwatch volunteers will be our eyes and ears – advising us on what they need from health and social care providers. “They will gain valuable experience of the health and social care and voluntary sectors and learn new skills in marketing and event management which will aid their CV and we will provide a reference for them. The group will meet regularly and help Healthwatch staff design and carry out promotional activities to engage other young people and encourage them to talk about their own experiences – both good and bad. Feedback will be shared with the NHS and local authority to highlight both good practice and issues raised.